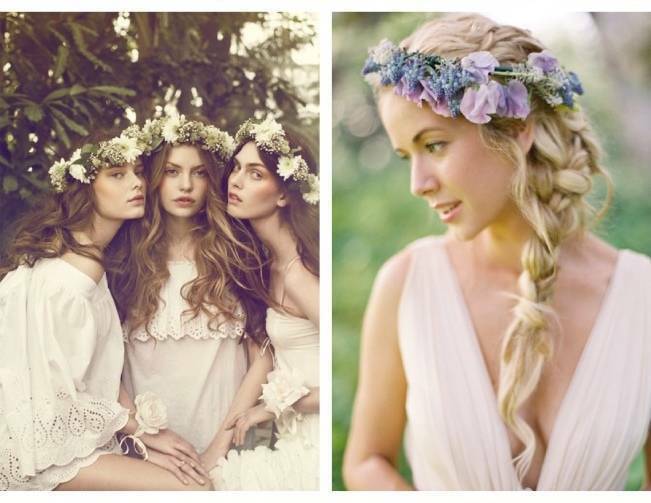 Perfect for the boho, woodland, or rustic bride, flower crowns are one of my most favorite things in the entire world. 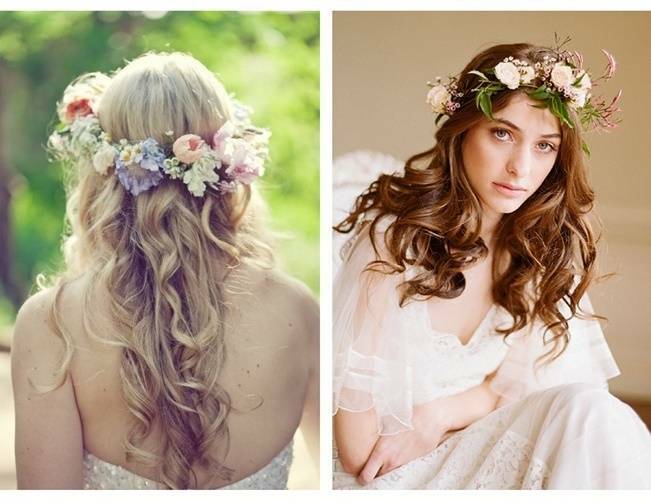 The art of flower crowns is an ancient one, but the effect is always the same – they enhance the natural beauty of the wearer and will make you feel extra pretty on your wedding day. 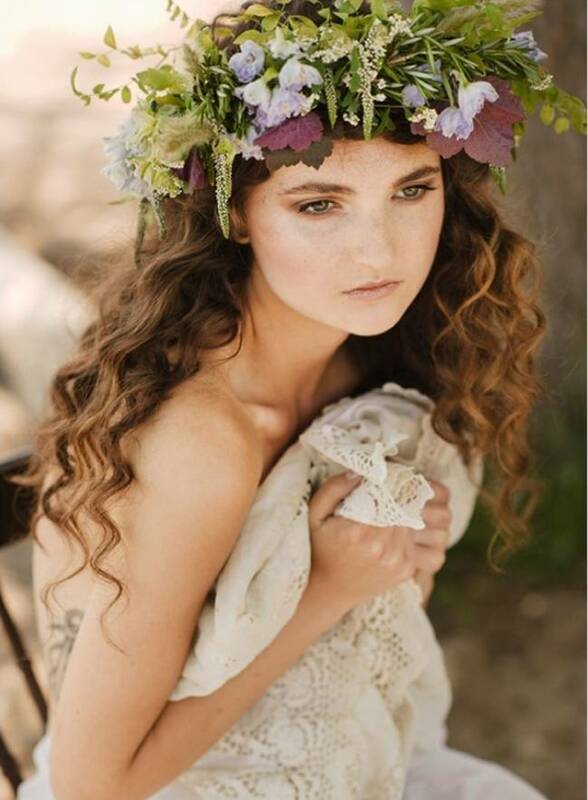 Flower crowns help to frame the face and can even bring out one’s eye color depending on the flowers used. 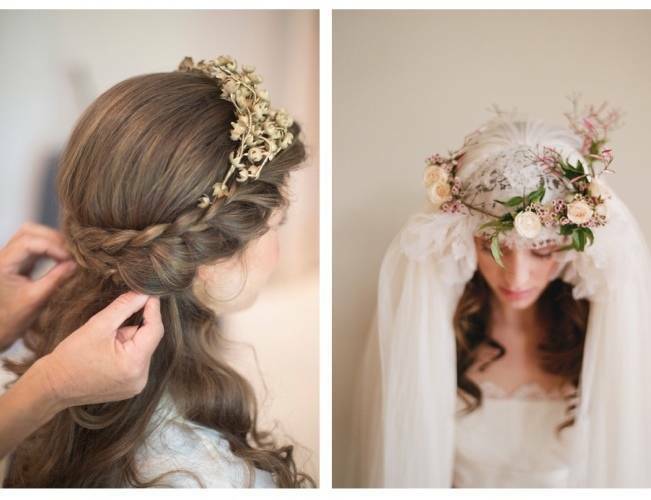 They look equally gorgeous over a veil or simply over your hair, whether you go for a wild, uncombed appearance, or a more controlled, imperial look. 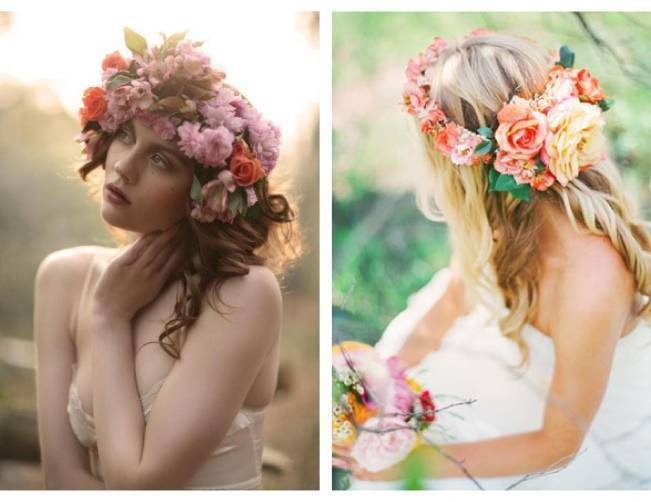 The size and amount of flowers also contribute to the end result. 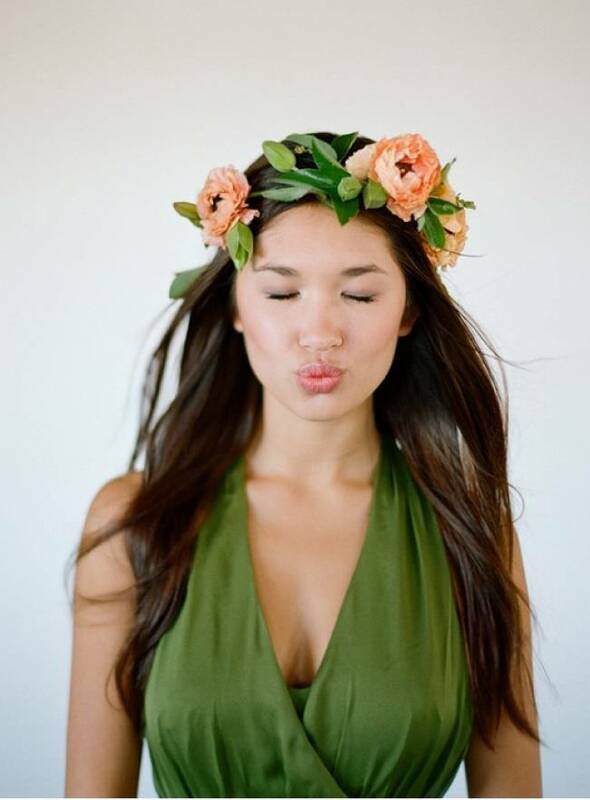 Real flower crowns smell fresh and fragrant, though they only last a day, if that. 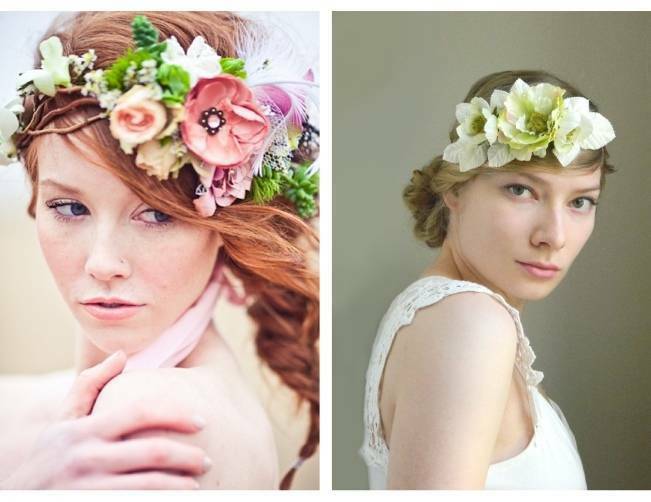 Or, you can wear a crown of silk flowers for a keepsake you’ll have forever. 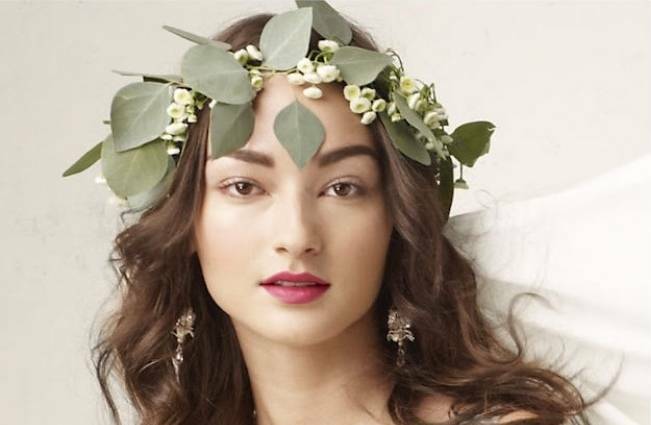 Here are 15 flower crowns to inspire your natural wedding style. The 4th one is the same as thee 3rd. Photographed by Priscila Valentina.